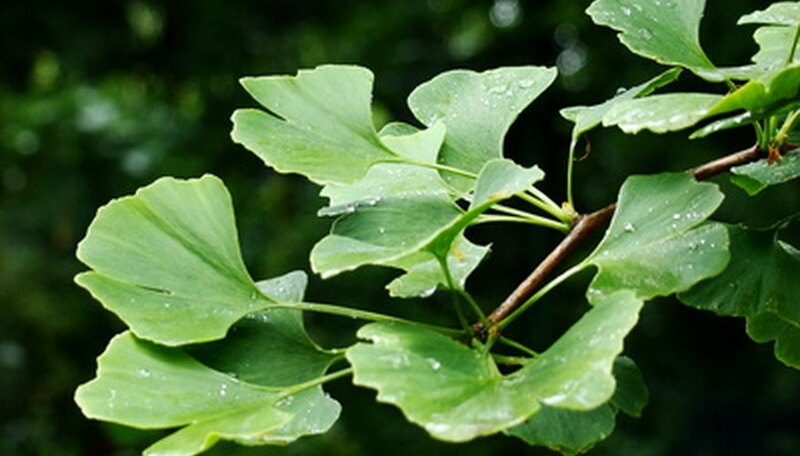 Ginkgo biloba is a tree with medicinal properties in many traditional herbal medical systems. Ginkgo biloba has one of the longest history of any living tree species. Grown as a medicinal tree, ornamental tree and as functional windbreaks, the male ginkgo trees are generally recommended for urban cultivation. Female trees begin producing foul-smelling fruit after about 20 years. In the past, ginkgo trees once grew in many parts of the world. A living fossil, ginkgo trees were common during the Permian period nearly 270 million years ago. Ginkgo trees disappeared from the fossil records in North America around 7 million years ago. They disappeared from European fossil records about 2.5 million years ago. However, the Chinese ginkgo biloba tree has survived unchanged since the Jurassic period, or 170 million years. This tree was thought extinct until a specimen was discovered in Japan in the 17th century. The trees had been brought in the 13th to Japan from China, where they were cultivated in Buddhist monasteries. Specimens also grow in the wild in northwest Jie Ziang province. Ginkgo seeds were transferred to Europe in the 17th century, where they have been grown as specimen trees ever since. Ginkgo biloba, the last surviving form of ginkgo tree, is cold hardy down to United States Department of Agriculture (USDA) hardiness zone 3. However, it doesn't grow well in tropical areas and is not recommended for areas warmer than zone 8a. Based on its hardiness rating, Ginkgo biloba can survive winter temperatures between minus 35 degrees F and minus 40 degrees F.
Under ideal growing conditions, the ginkgo biloba can reach between 50 and 70 feet tall and spread to between 50 and 60 feet. The tree grows well both in full sun and conditions that offer partial sun and partial shade. The tree grows fairly quickly when young, but slows down after several years. Ginkgo trees won't produce fruit for 20 years. Ginkgo biloba will grow in many different soils. It grows in sandy soils, loamy soils, or soils that are primarily clay. They do well in both acidic soils and alkaline soils and can tolerate soils that are overly wet. However, they do best in soils that drain well. Although they do best with a couple of inches of water per week, ginkgo biloba trees are drought tolerant. How Fast Does Ginkgo Grow?